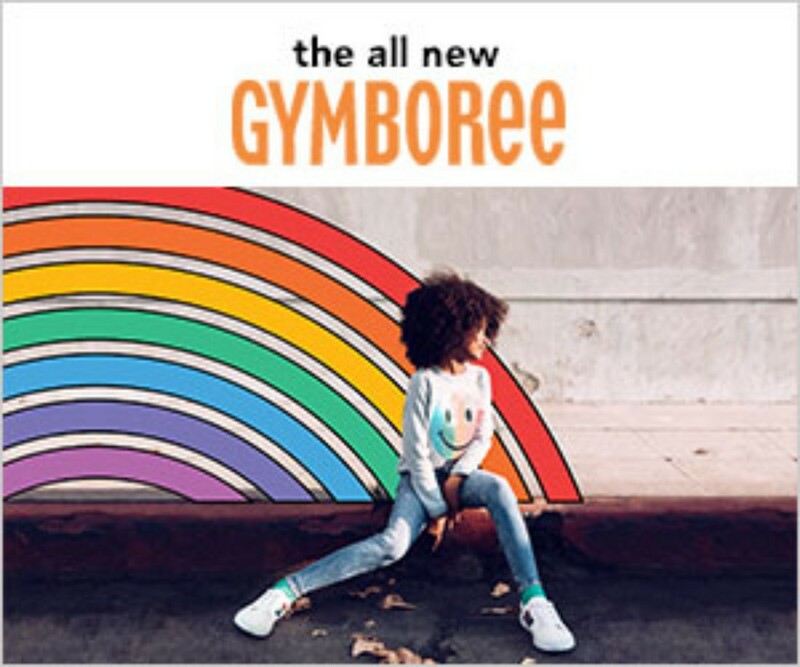 Gymboree has a new fresh take on style and it is especially exciting. They will still have a kid sensibilty, but now with a modern sense of style. The new pieces are now endlessly versitile and mixable, creating big possibilities for kids to create their own looks. You can feel the comfort, softness, and will see the attention to detail in each piece. My boys and I have been experimenting with different ways to make homemade chocolate. We have had some fails and also some wins. For me the fails get me down. However my boys seem to take the fails also as wins and are always happy with the outcome. It is fun such as this that will have #MadeYouSmile anytime. As mom's we all want our children to dress in clothes that are stylish, versitile, and comfortable. Gymboree clothes features all these plus are made of quality and durability which makes them a great fit for your kids this back-to-school season. 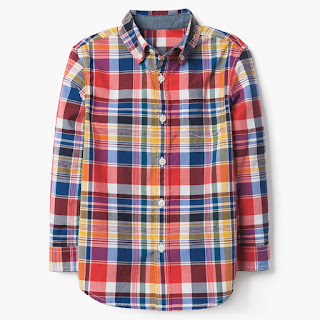 Here are a few of our favorite back-to-school pieces! 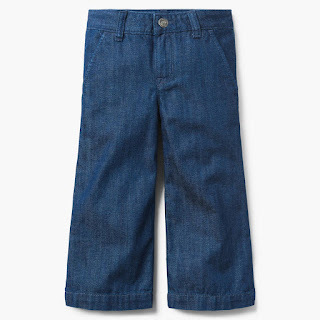 Gymboree has the best kids' jeans ever. 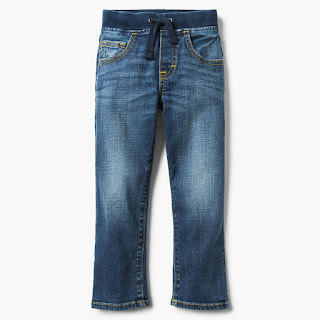 Their jeans are super comfortable, soft, and durable. 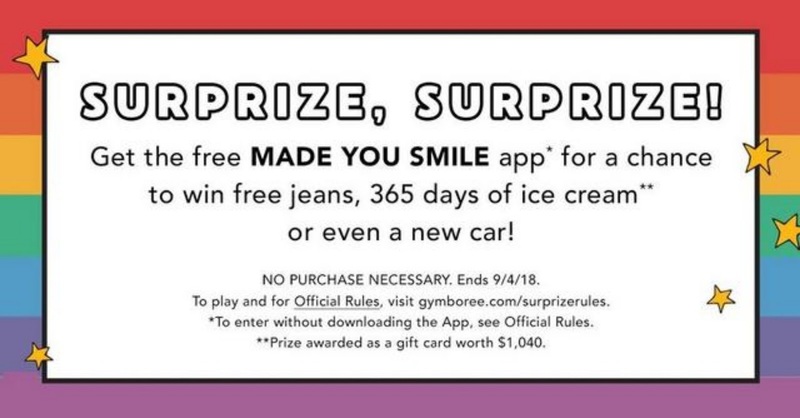 Right now, you can win one of more than 150,000 prizes with Gymboree’s Made You Smile campaign! Download the app, head to your local store, and spin to win a local prize. You can also scan your receipt or enter your order number to be entered to win the grand prizes. These incredible prizes include a trip to NYC, a $5000 Gymboree shopping spree and limo ride, a year’s worth of ice cream, an awesome backyard swingset and playhouse, a private movie screening and pizza party, jeans for you and your entire class, and a new car filled with balloons! Gymboree has been making kids clothes since 1986, and they’ve learned a lot along the way. Parents want clothes that make their kids feel great, inside and out. That’s why play-ready quality and comfort are so important. Many of us are parents and we love what we make. Kids inspire them and theye want their clothes to inspire you. 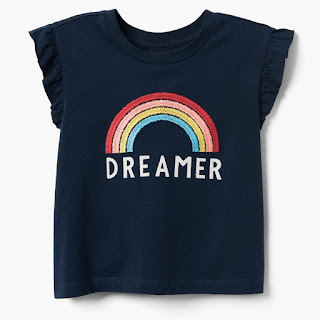 Gymboree styles are ready to be mixed so kids can start to discover who they want to be. Because when kids feel great in their clothes, anything is possible. 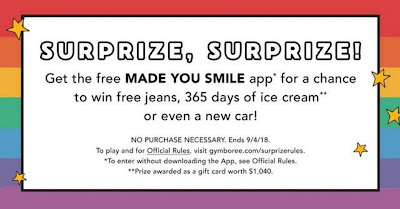 Gymboree wants to make you smile! Such a great campaign! I love stocking up on their clothes for my kids at back to school time. Nice kids clothes! 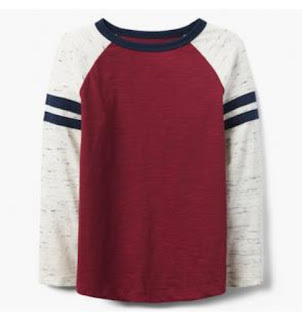 I will try to buy the Athletic Raglan Tee for my nephews birthday :) thanks for sharing! Some cute clothes! I don't have any kids nor I live in the US but I retweeted to see if anyone is interested. Thats awesome, are there any stores in India ? i agree that things which make me smile are often very colorful. I am not sure why that happens but it just makes me happy. Rainbows and things of that ilk. I wish they were in India too. I am always in a lookout for my little fashion freak. He's already learned how to check his appearance and to chose clothes. Fab campaign! 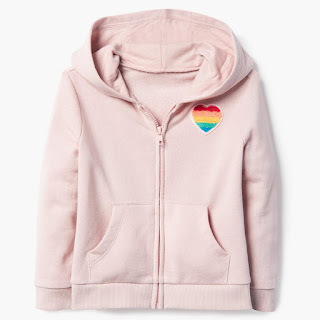 And fab clothes for kids! Thanks for sharing this and for being thorough about the company and the campaign. OMG! I want that hoodie and the dreamer tee. I will check this out. Thanks for sharing it here on your post. Some lovely outfits on display there, surely a good fit for any kid out there and a great campaign to go with it. What a lovely outfit. I am gonna share this to my friends, a mother like me.